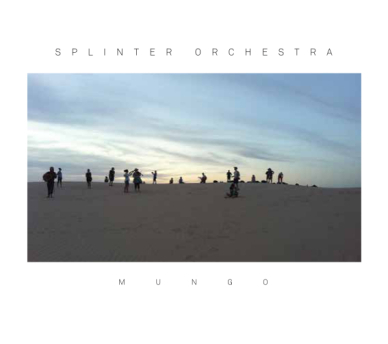 Splinter Orchestra "Mungo" 3CD - In March 2016 a 21-piece Splinter Orchestra (featuring the likes of Jim Denley, Laura Altman and Peter Farrar) drove from their native Sydney to Adelaide, to perform as part of the Tectonics Festival. Midway they spent 3 days recording in the vast desert recording studio that is Mungo National Park. The new 3 CD set, ‘MUNGO’, their first release in 10 years, presents an argument for a creative collective, sensitive to time/space — one that treats all the participants, be they performers, other species, or the wind, as equal players.